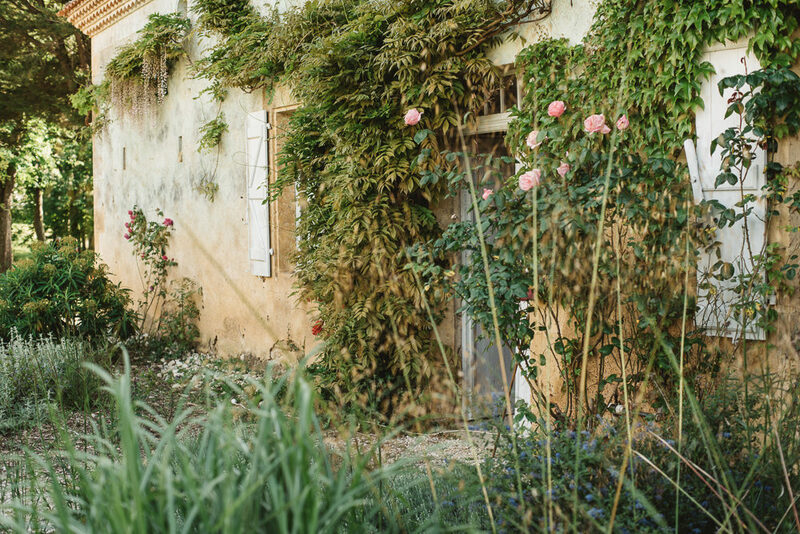 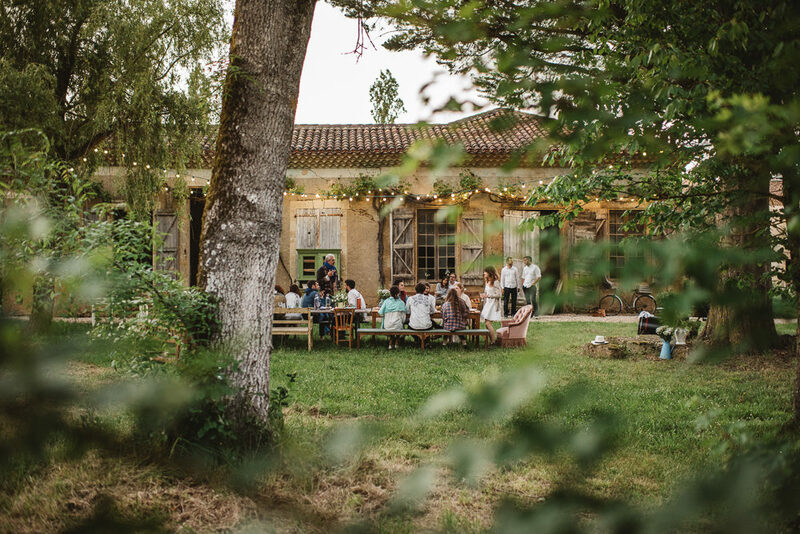 We’ve featured a couple of absolutely incredible weddings from Chateau de Lartigolle (like Anna & Will’s classic and elegant wedding, and Lucy & Tim’s rustic wedding filled with wild flowers) so it’s very exciting to be able to share their latest venture with you today. 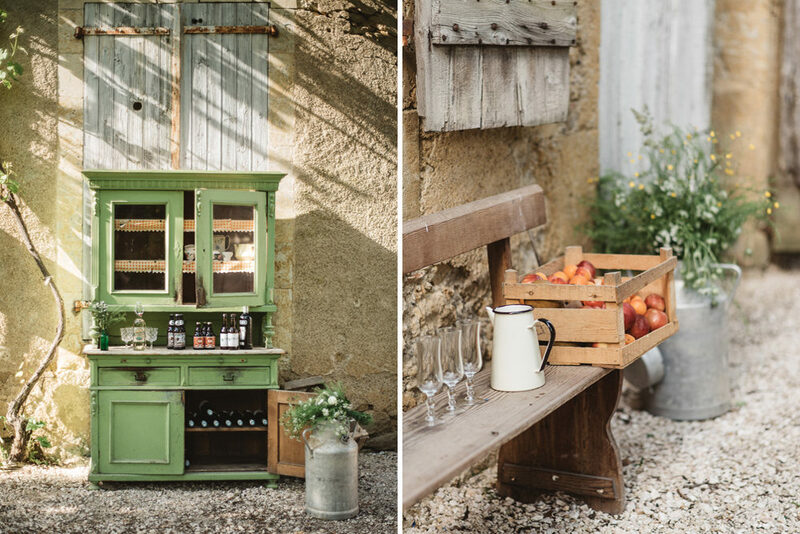 This inspirational shoot was shot at Ferme de Labarthe, a completely new wedding and event location run by the team from Chateau de Lartigolle and launching in 2017. 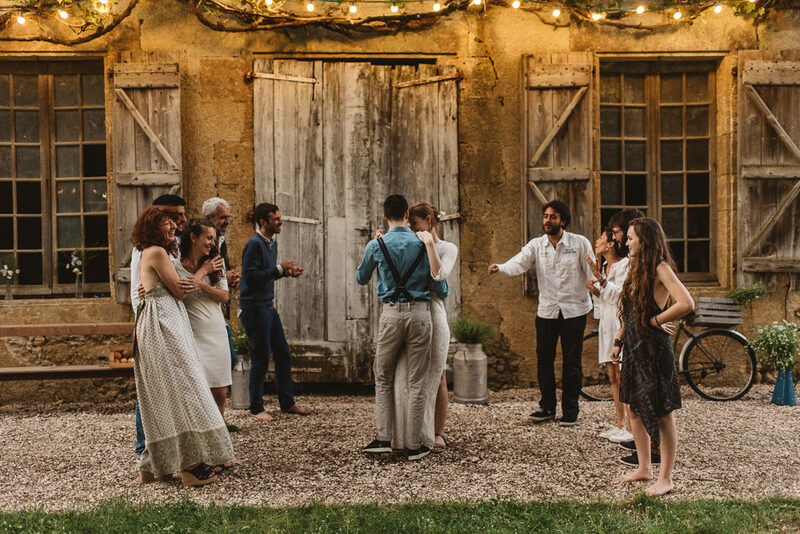 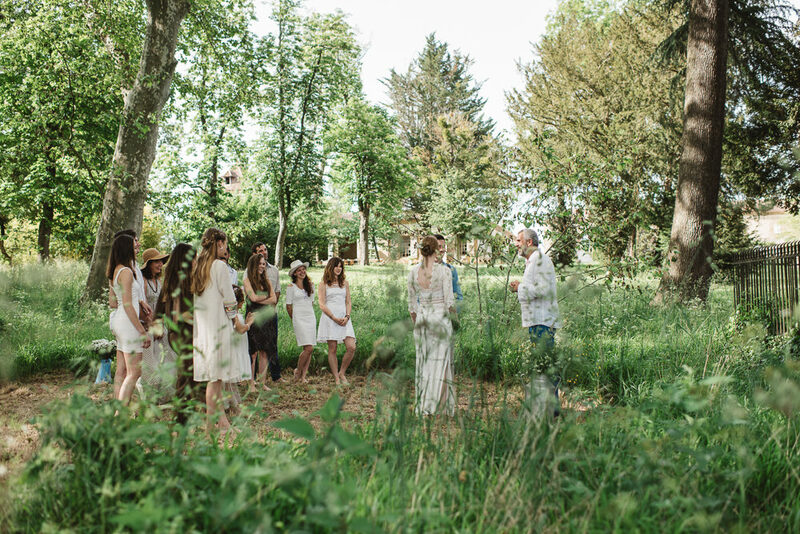 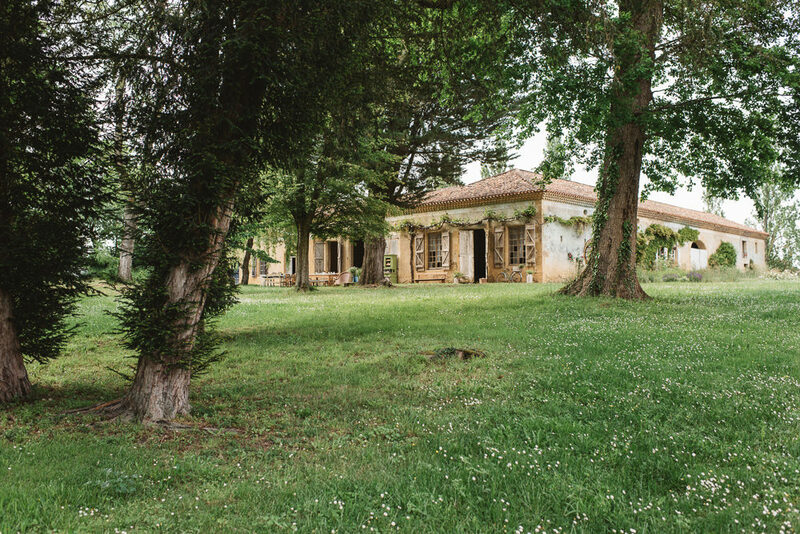 Located on a beautiful organic farm in Gascony, south west France, the Lartigolle team have come up with a unique concept that allows groups to take over the farm and manor house with up to 40 guests and everything that you will need for your event will be available on-site and ready to use. 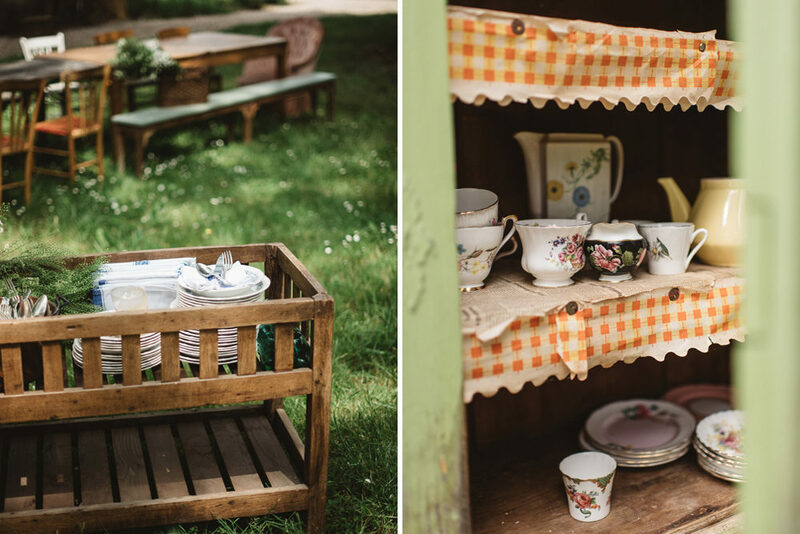 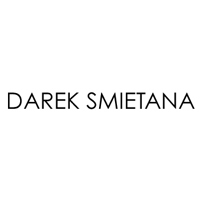 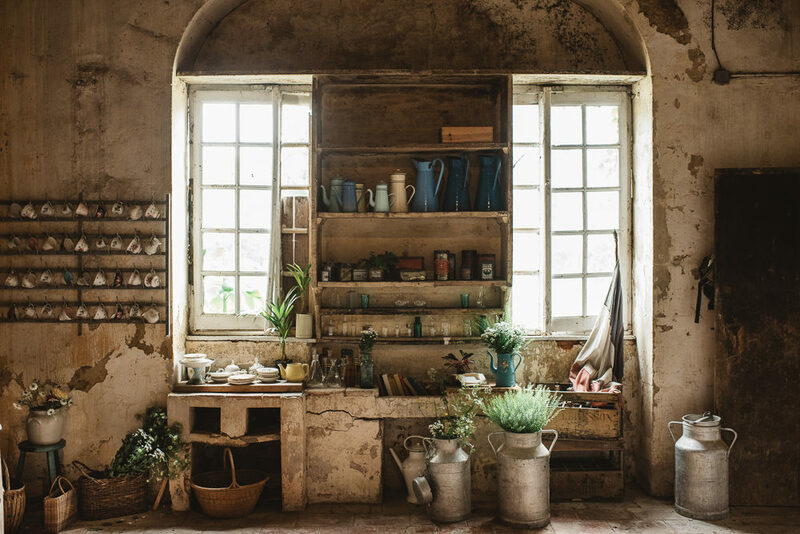 There will be a Prop Store full of a huge variety of styling elements – pots, vases, cutlery, crockery and cutlery, linen, glasses, urns, vintage tins and bottles, candles, flags and bunting. 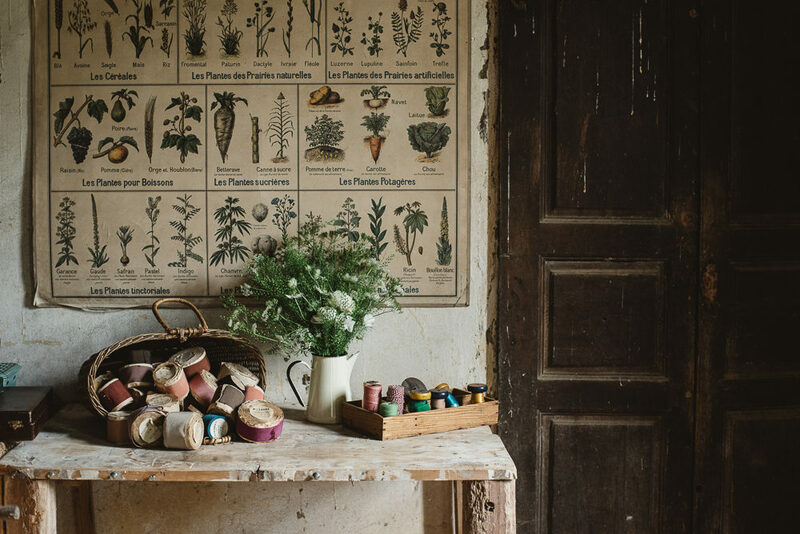 In the main house will be a stationery cupboard brimming with labels, cards, signs, blackboards, chalk, coloured pens, paints and a variety of other stationery items, all ready for you to use. 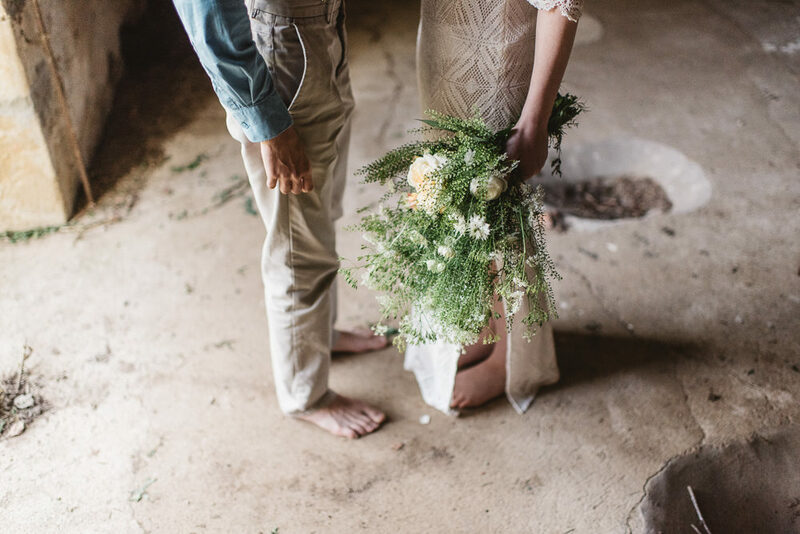 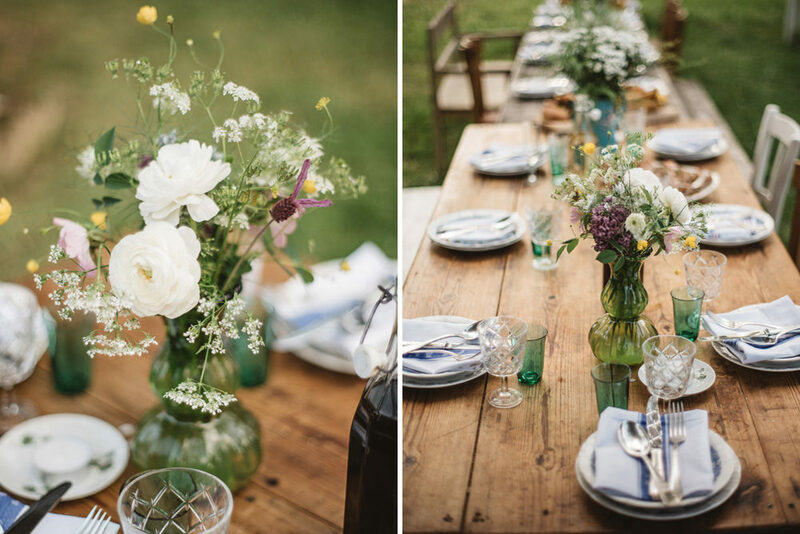 The working organic farm will supply seasonal wild flowers that you can pick on the day of the wedding and then make your own arrangements using the styling items in the Prop Store. 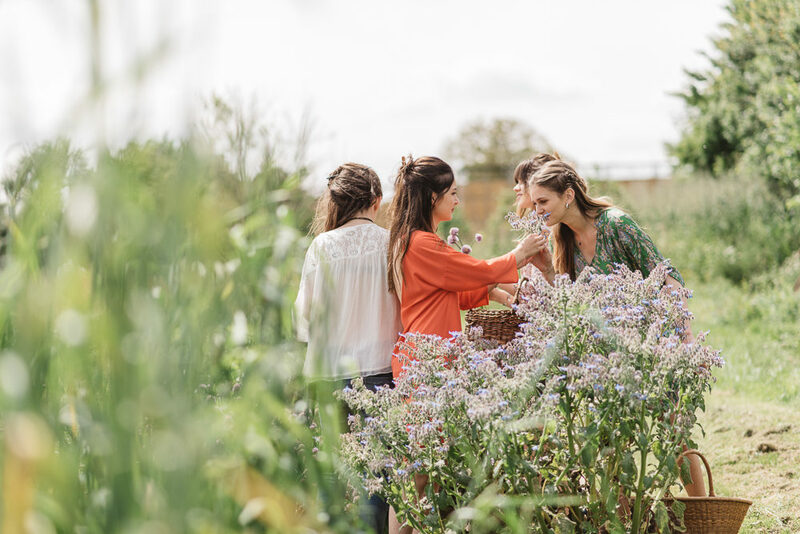 Guests will also have full access to all the organic produce for the duration of your stay. 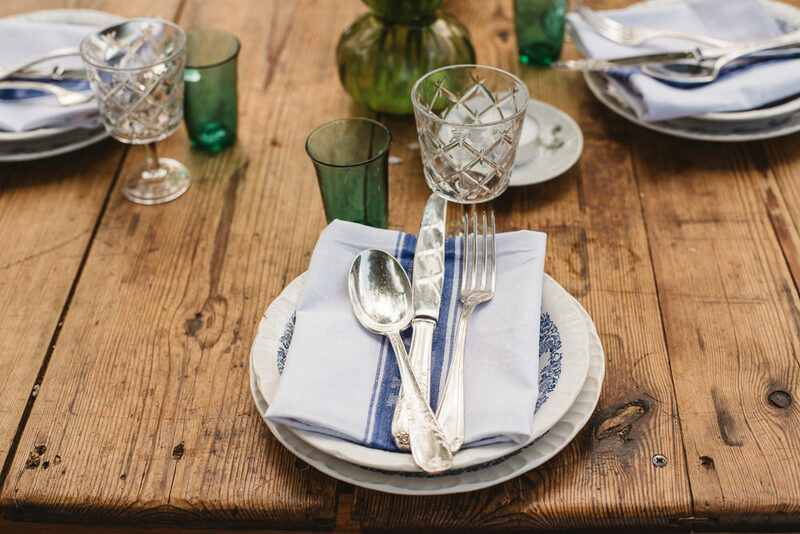 The aim is that you, together with your friends and family, can just turn up and put everything together yourselves with a catering and service team on hand to work with you. 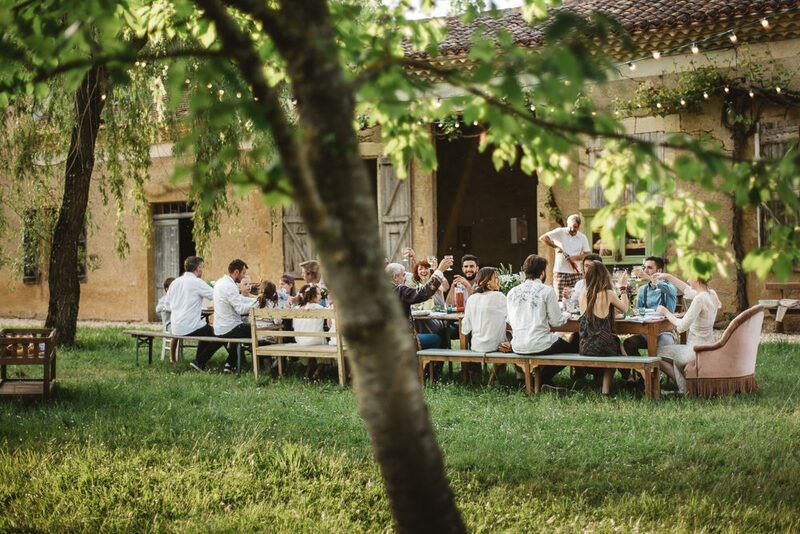 No fuss, no planning meetings, just everything the way you want it to be.